Join me this September 22 – October 4 for Savoring Sicily. Our multi-sensory, locally-seasoned 13 days will be spent savoring the stunning natural environment, basking in the fascinating history and culture, and relishing the fresh and exotic cuisines of Sicily. 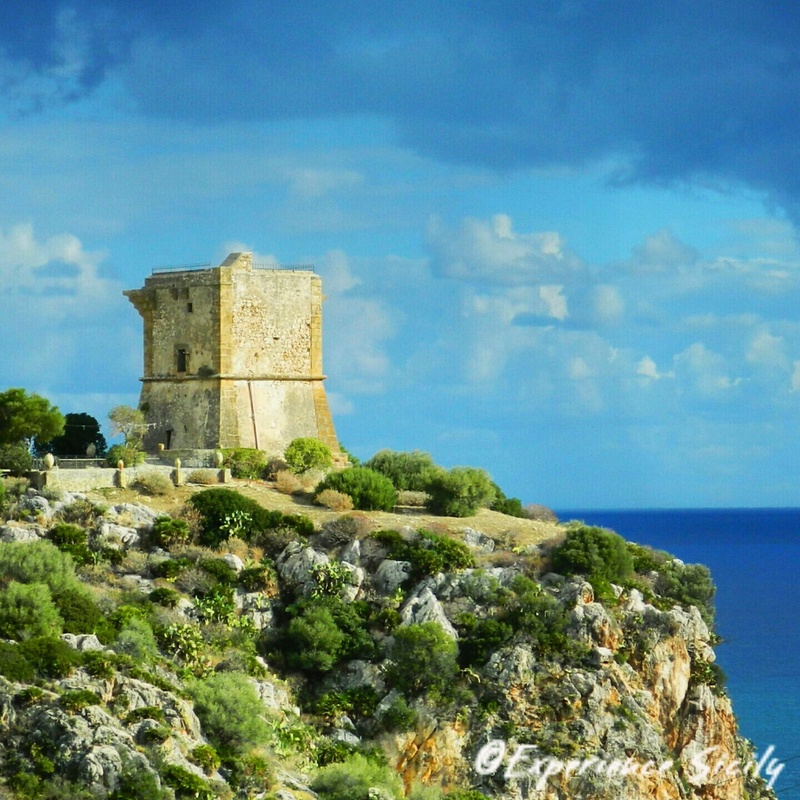 On Day 1, you’ll arrive at Palermo’s airport where we’ll pick you up and bring you to here, where this 15th century look-out tower is located, in the village of Scopello. This charming village offers the perfect start to our journey around this ancient island region. We’ll take care of all the plans and all of the details. All you have to do is pack your bag, open your heart, and savor Sicily! Contact me at AllisonScola@ExperienceSicily.com to reserve your spot on this boutique, small-group tour. Scopello is one of the most memorable places I have visited. It is a charming village overlooking an azure sea of unparrelled beauty, and one has the feeling of going back to another time when others walked with donkeys on the cobblestone roads. The inn keepers were warm and gracious, and the inn is surrounded by luxurious plantings and lemon trees. You will not want to miss this wonderful journey into magical Sicily.